The Economist Newspaper Limited, trading as The Economist Group, is a British multinational media company headquartered in London and best known as publisher of The Economist. The Economist Group specialises in international business and world affairs information. Its principal activities are magazines, newspapers, conferences and market intelligence. The Economist Group is owned by the Cadbury, Rothschild, Schroder, Agnelli and other family interests as well as a number of staff and former staff shareholders. Pearson PLC held a 50% shareholding via The Financial Times Limited until August 2015. At this time Pearson sold their share in the Economist. The Agnelli family's Exor paid £287m to raise their stake from 4.7% to 43.4%, while the Economist paid £182m for the balance of 5.04m shares which will be distributed to current shareholders. The origins of The Economist Group date back to the foundation of The Economist: A Political, Commercial, Agricultural, & Free-Trade Journal by James Wilson in 1843. In 1946, the Economist Intelligence Unit began providing business intelligence to both The Economist magazine and external clients. In the same year, the Economist bookshop was established as a 50:50 joint venture with the London School of Economics. Economist Conferences was established as a division of Economist Intelligence Unit in 1956 to offer government roundtables. In 1995 The Economist Group acquired the Journal of Commerce, a US-based provider of information for the shipping and transportation industries. In the same year the Group launched European Voice, the first pan-European Union weekly newspaper. In July 2004, The Economist Group launched an upmarket lifestyle magazine called Intelligent Life, an annual publication. This magazine was redesigned as a quarterly in September 2007, and became a bi-monthly publication in August 2011. In March 2016, the magazine was renamed 1843. Launched in 2010, the Ideas People Channel is a vertical online advertising network of around 50 sites defined by the mindset of the audience. The sites recruited for the network were identified by the readers of The Economist as their favourite online destinations for topics on business, globalisation, innovation and culture. The channel competes in the lower-cost, high-volume network advertising market, a category not previously served by The Economist online. Also recently launched is Economist Education, providing e-learning courses. In March 2012, The Economist Group acquired the London-based marketing communications agency TVC Group for an undisclosed sum. In April 2012, the Economist Intelligence Unit expanded in Asia with the acquisition of Clearstate, a market intelligence firm specialising in customised strategic advisory and primary research solutions in the healthcare and life sciences domains. In July 2015, Canback & Company, a strategy consulting firm operating in more than 70 countries was acquired. It is now known as EIU Canback. 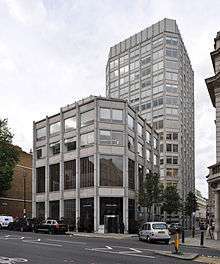 The Economist Group is headquartered in the City of Westminster, London, England, and has offices worldwide, including in Brussels, Belgium, Frankfurt, Germany, Geneva, Switzerland, Paris, France, Dubai, United Arab Emirates, Johannesburg, South Africa, Hong Kong, mainland China, Singapore, Tokyo, Japan, India, New York City and Washington, DC in the United States. The Economist Group's principal activities are magazines, newspapers, conferences and market intelligence. Publications and services delivered under The Economist brand include The Economist magazine, The Economist online, Economist Intelligence Unit, Economist Conferences, Economist Corporate Network, The World In series and a bi-monthly lifestyle magazine, 1843. The Group’s other brands include CQ Roll Call (aimed at decision-makers on Capitol Hill), EuroFinance, a cash and treasury management event business, and a digital media agency, TVC. European Voice (Brussels), formerly a sister publication of CQ Roll Call, was sold to the French company Selectcom in 2013. The current members of the board of directors of The Economist Group are: Rupert Pennant-Rea (Chairman), Zanny Minton Beddoes (editor-in-chief of the Economist magazine), Lady Suzanne Heywood, Brent Hoberman, Sir David Bell, John Elkann, Alex Karp, Sir Simon Robertson, Lady Lynn Forester de Rothschild, Chris Stibbs and Baroness Jowell. Former board members include: Andrew Rashbass, Rona Fairhead, Philip Mengel and Eric Schmidt (of Alphabet, parent company of Google). The current trustees of the Group are: Baroness Bottomley of Nettlestone, Lord O'Donnell, Tim Clark and Bryan Sanderson. 1 2 3 4 5 6 7 "Annual report 2012" (PDF). The Economist Group. Retrieved 26 October 2012. 1 2 3 4 5 6 7 "Our history". The Economist Group. Retrieved 15 December 2012. ↑ Moses, Lucia "Economist Launches Online Ad Net", Adweek, 27 October 2010. Retrieved 12 July 2010. ↑ "The Economist Group acquires TVC Group in move to create content". PR Week. 14 March 2012. Retrieved 15 December 2012. ↑ "Directors". The Economist Group. Retrieved 18 February 2015. ↑ "Directors". The Economist Group. Retrieved 15 December 2012. ↑ "Trustees". The Economist Group. Retrieved 15 April 2013.